The AVS refill is a closed-system e-liquid refill brought to you by FIN Cigs. This vanilla flavor offers a smooth, slightly sweeter alternative to the traditional tobacco-related flavors that can be enjoyed morning, noon and night. 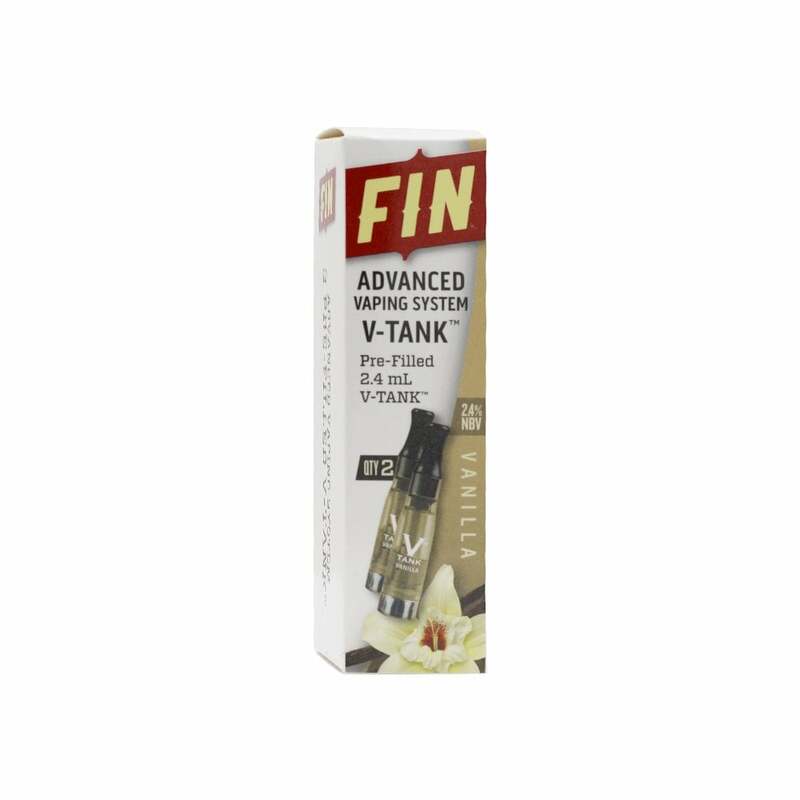 FIN Vanilla V-Tanks have a v-liquid capacity of 2.4ml which should provide around 600 puffs before the chamber will need replacing. Being transparent, you can easily see how much v-liquid you have left by checking the side of your V-tank. Love the flavor, at times I would reserve the product and it was half empty because it leaked . So sorry that this product is not available.